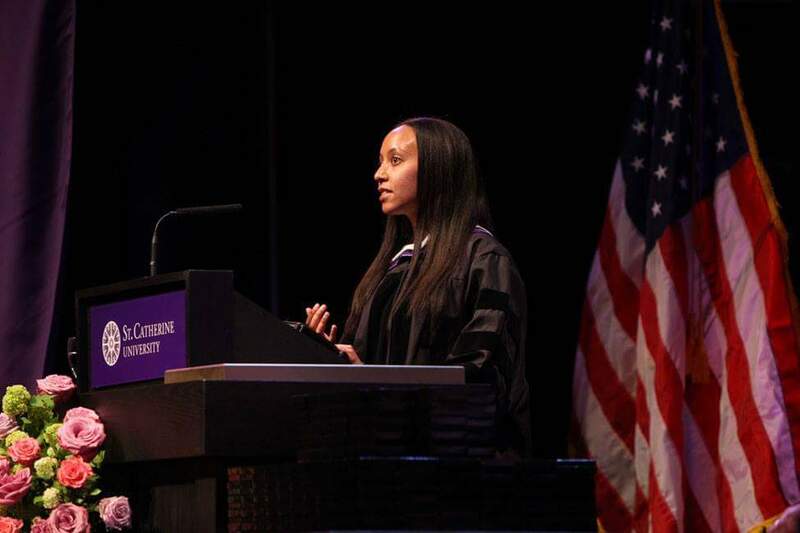 St. Catherine University honored Haben Girma with the Alexandrine Medal on May 22, 2016. Named after the Egyptian scholar Catherine of Alexandria, St. Catherine University awards the Alexandrine Medal to women who demonstrate an outstanding commitment to public service. Past recipients include Dorothy Day, Ann Bancroft, and Maya Angelou. Haben is the youngest person to receive the Alexandrine Medal. After receiving the award, Haben delivered a deeply moving commencement address for St. Catherine’s graduating students.